As we enter this Thanksgiving Season there is much to be thankful for at Hope Springs. Your partnership has been critical in bringing about the changes that have taken place in Dono-Manga, Chad. 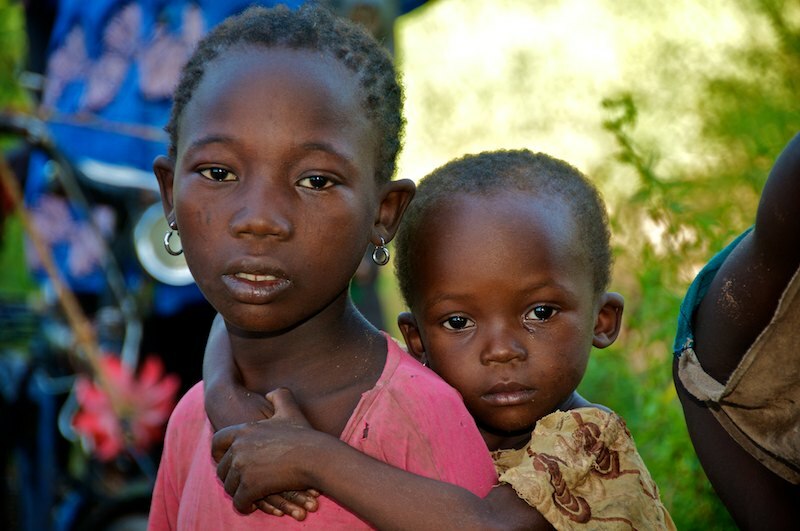 Over six hundred children and adults died in a three month period in early 2009 due to the lack of clean drinking water and medication to treat childhood diseases. To date twenty six well have been repaired, 15 new wells will be drilled this month and our new dispensary is now open providing life saving medication. Because of your generosity the funerals have been replaced with the sound of children playing and laughing. During our recent visit to Dono-Manga I spoke with Dr. Emmanuel Eni, one of the deacons for the Waulari Jerusalem Church and a member of the teaching staff for the University Medical center in Maiduguri, Nigeria. Dr. Eni has been to Dono-Manga on a number of occasions and knows firsthand the impact your gifts have made here. We are also excited about plans to build an orphanage for 41 children in one section of Dono-Manga. We will have all the details soon, so check back often for updates. Hope Springs International is a 501C3 Non-Profit Corporation and your gifts are tax deductible. We drove all night, stopping only to refuel. We purchased gasoline from road side stands. The gasoline only came in large glass bottles and had to be siphoned into the tank of our van. The day had been filled with red tape and details to secure our visas for the nation of Chad. Timing was critical. The border would close at 6:00pm and if we did not cross by then, our trip to Dono-Manga might not happen. One of the many fuel stops along the way. We arrived at the border around 5:00pm. But ahead of us was a long line of overloaded trucks all desperate to cross the one-lane bridge in front of them that spanned the river between Cameroon and Chad. There were two additional lines of cars, and hundreds of motorcycles, all eager to cross as well. A blue cloud of exhaust smoke hung in the air. Two members of our team moved ahead on foot to get a jump on the paperwork as we inched closer to the bridge. The clock kept ticking and it was not looking good, but our driver continued to maneuver us in line and finally we were on the bridge. As we left the bridge and crossed into Chad I looked at my watch. It was 5:59 pm. One minute to spare. God once again had done the impossible and we would soon be on our way to Dono-Manga. It would take another 14 hours to cover the 300 miles to Dono-Manga. 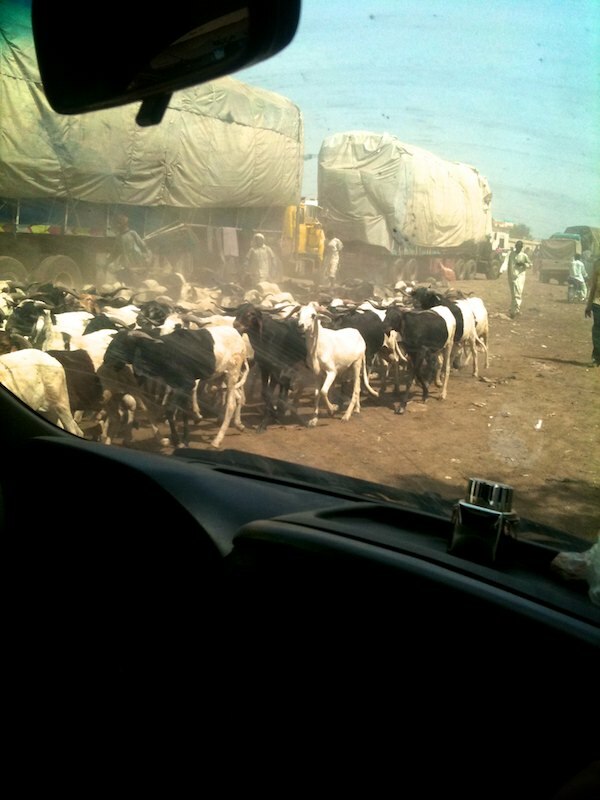 Roads in Chad were much better than we had experienced in Cameroon and Nigeria. We were able to make good time slowed only by manmade speed bumps every few miles that kept us from taking full advantage of the better roads. An hour or so before dawn we turned onto a cart path that would take us through the bush for the last 60 miles of our journey. The path had been badly eroded by the rainy season now coming to an end, but slowly we were able to make our way. As the sun rose we began to pass small villages. 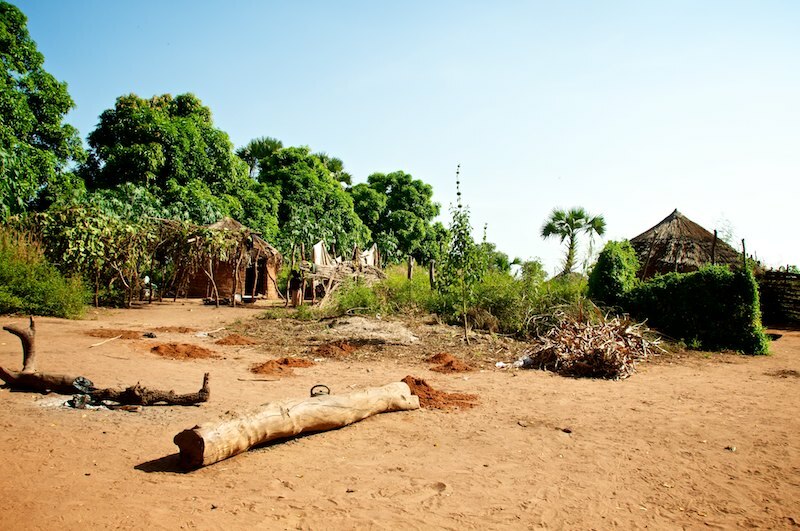 Tall grass and a few trees covered the landscape until we would see a dozen or so thatched roofs of the next village, smoke rising from charcoal fires where breakfast was being prepared. The bush comes alive at dawn. We met people on bicycles, children driving ox carts, and women with empty containers going for water. Two and a half hours later, we reached our most distant destination, Dono-Manga, Chad. Christians from surrounding villages were waiting; some had been there for three days since hearing news of our coming. 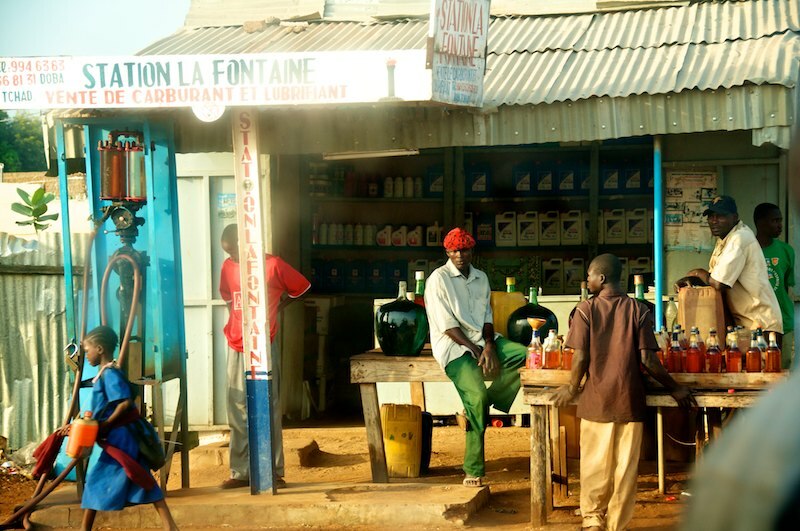 Dono-Manga is a large district in the nation of Chad. It is made up of some 126,000 inhabitants spread out in 92 villages. There is no electricity anywhere in this district, but oddly enough there is cell phone coverage. While only a few government officials (and our local representative) have cell phones, we did have contact with the outside world deep in this remote bush area. There is a small Catholic hospital in Dono-Manga, with one doctor and a few nurses, but only a tiny number can afford their services. A Christian religious presence has been minimal here until recently. Many are hearing the message of Christ for the very first time. There are a few Muslims here, but even their influence has been small. Dr. Eni giving instructions concerning the drug supply. We have come to Dono-Manga to see a newly constructed dispensary and stock it with lifesaving drugs. We have come also to look into the possibility of building an orphanage and starting a farming operation for its support. We have identified 41 orphans in this small area of the district that have no parents and are living at the mercy of what others will share with them. An SOS call came from Dono-Manga in February of 2009. In a three-month period 600 people died, the vast majority of them children. A lack of clean drinking water, medicine for treatable childhood diseases, and malaria was taking its toll on Dono-Manga. Today the tide has turned from death to life. More than two dozen out-of-service wells have been repaired, 15 new wells will be drilled this month, and our new dispensary is now open with drugs and mosquito nets. Eleven churches have been established and other villages are calling for someone to bring the message of Christ to them. 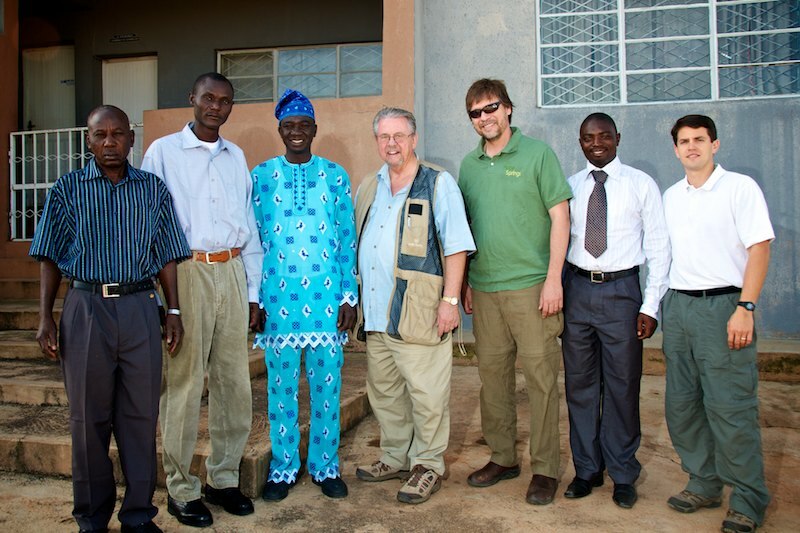 Two men from Dono-Manga are now in the Jos School of Biblical Studies in Jos, Nigeria, and will soon return to work with Pierre Rimorbe, the lead evangelist in Dono-Manga. But Pierre is not waiting for full time help. He is discipling 10 itinerate preachers who are presently helping him work with these new churches. During our brief stay, we visited a small village where we were told there was a couple who wanted to be immersed into Christ. 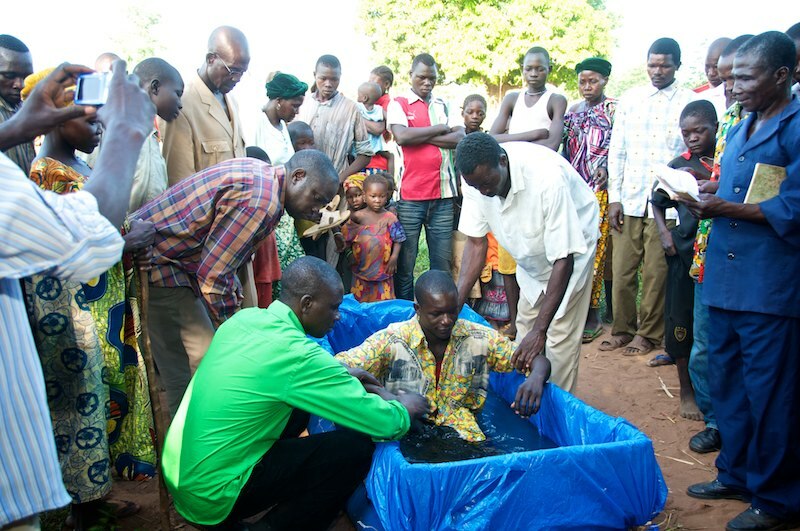 Two turned into ten as others who had been studying with Christians came also ready to put Christ on in baptism. It was so exciting to witness the new birth of these people in the shadow of one of the repaired wells that now provides not only clean drinking water, but clean water to fill the portable baptistery. As each person was immersed and rose from their watery grave, there were shouts of praise and high-pitched yodels made by the women in celebration of what was taking place. Each new Christian gave out wet hugs to family and friends. What a time of celebration! Lives have been forever changed because generous hearts were open to the needs of the people of Dono-Manga. Will you partner with us as we move ahead in faith? 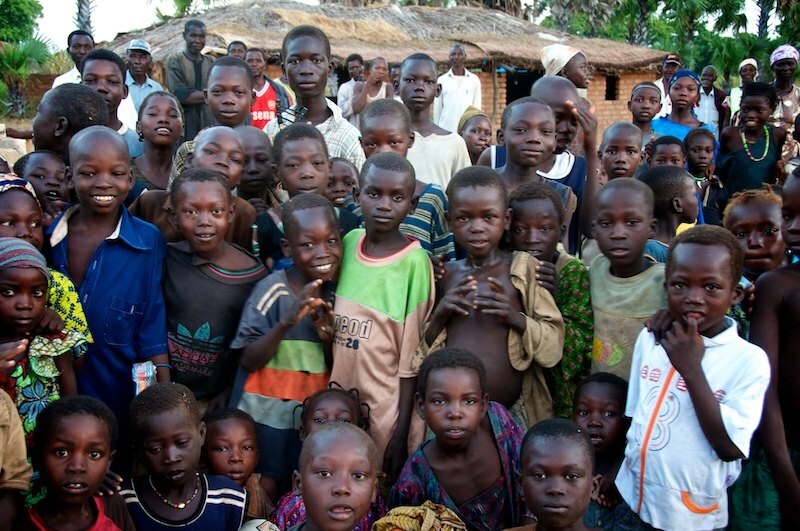 Some of the 41 orphans we plan to provide a home for. It didn’t take us long to decide that we must move ahead with the construction of the new orphanage. As we looked into the eyes of smiling children who really have little to smile about our hearts were touched with the greatness of the need. In the near future, children who presently are sleeping on mats and bare ground in the open air will be snug in their own beds protected by treated mosquito nets. The new orphanage will not only provide for their protection, but it will also provide a farm where they will work and help provide for their immediate needs while learning a skill that will enable them to support themselves throughout life. But most important of all, they will learn the story of God’s redemptive love through Christ. Future plans for the greater Dono-Manga area include drilling 30 additional wells and more drip irrigation workshops. We are also looking into the expansion of the new orphanage sometime in the future. AIDS has devastated this nation and the number of orphans needing help goes far beyond the 41 we have identified and will help first. We are also looking forward to rolling out our “Adopt a Village” program. What we are doing for the Dono-Manga district can be done on a smaller scale for hundreds of villages. We are presently looking for churches, individuals and business that will adopt a village by providing wells, dry season farming workshops, and other needs. Our people on the ground will coordinate the work as the funds are provided. 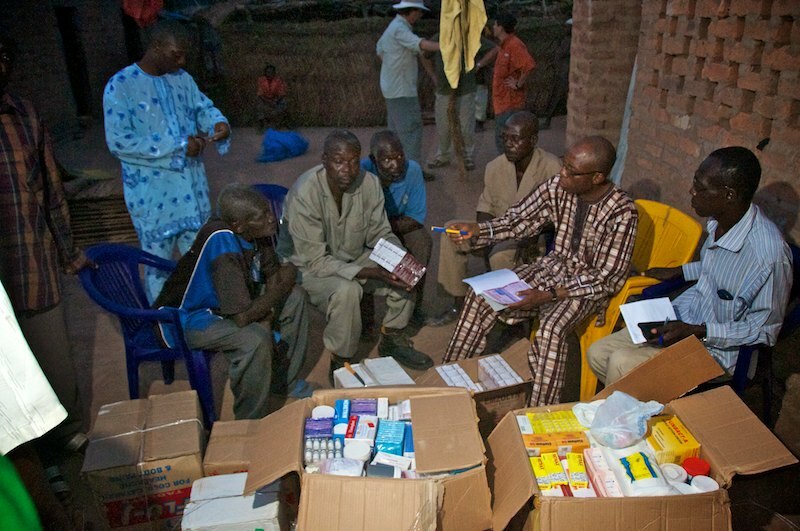 Working together will enable us to bring lifesaving change one village at a time. Thanks for your continued prayer and financial support. You are making a real difference in the lives of thousands of people. Categories: Children, Clinic, Dispensary, Dono-Manga, Orphans | Tags: Baptisms, Chad, Dispensary, Dono-Manga, Orphanage, Orphans | Permalink.